Up to five seats plus wheelchair. Wheelchair access via automatic tail lift (or side lift available from £42,795 Cash Price/£18,695 Motability). Additional seating and/or wheelchair positions available within the range. Please enquire for details. The Versa Caravelle offers effortless refined driving coupled with a comfortable ride for the rear passengers and wheelchair user, all with a touch of luxury. 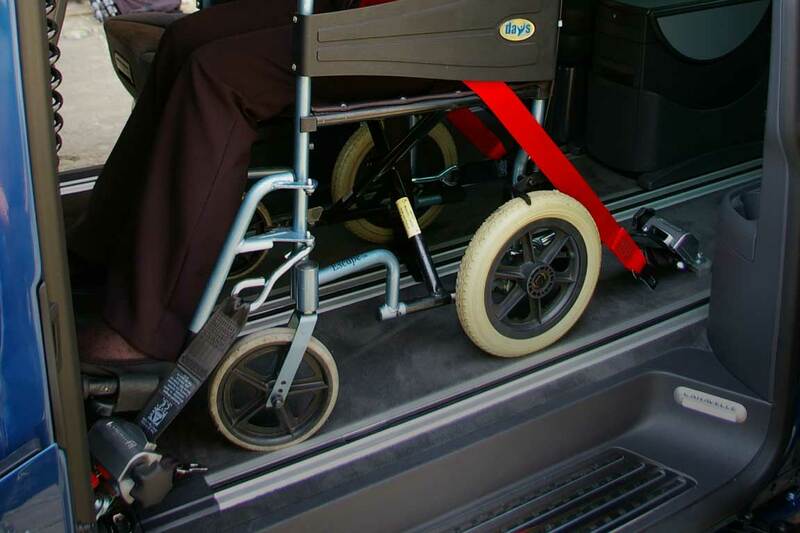 This short wheelbase version with automatic tail lift comes as standard with seating for three passengers (including the driver) and one wheelchair user. Additional seating can be added if required. Twin sliding doors come as standard to allow ease of passenger access. The Versa Caravelle is crammed full of innovative ideas with safety and comfort features in abundance, whilst always retaining the vital focus on practicality for the wheelchair user. This is exemplified by the Executive model as there is no more stylish and luxurious wheelchair accessible vehicle available.